Professional development for teachers: New study questions value of teacher training. Is Professional Development for Teachers One Big Boondoggle? 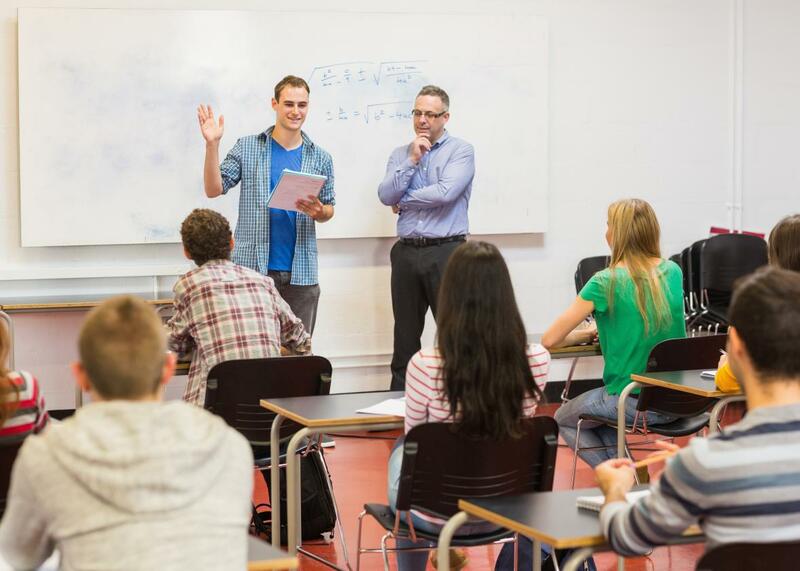 New study confirms that we have no idea how best to train teachers. A study raising a lot of eyebrows in the education world this week suggests that, despite the billions of dollars we are pouring into teacher development every year, we have very little to show for the expenditure. The report, released by the education-reform organization TNTP, puts a shockingly high price tag on professional development, which refers to the ongoing, on-the-job pedagogical training, both formal and informal, that teachers receive throughout their careers: The unnamed three large school districts and medium-size charter network it examined spent, on average, $18,000 per teacher for training that spanned 19 days, or roughly one-tenth of the school year. All that cash and time, for what TNTP found to be questionable outcomes at best. Among the roughly 10,000 teachers surveyed, teacher evaluations found that only 3 out of 10 teachers improved while 2 out of 10 got worse over two or three years. While some teachers did improve (as measured, among other metrics, by students’ proficiency in math and reading and classroom observations), many others “plateau before they master core instructional skills.” And even in the best-case scenarios of teachers who “did grow substantially over time,” the study could identify “no clear patterns in these success stories and no evidence that they were the result of deliberate, systemic efforts.” There was no clear correlation between the type of training they received, or the number of hours they’d received it, and any discernible improvement. Basically, nobody knows what works, so districts just throw different teacher-development techniques (and lots of dollars) at the wall and hope something sticks. Instead of this haphazard approach, TNTP recommends that districts set clear, measurable goals, then constantly try to determine the best methods of achieving them. But how exactly do we do this? Anyone who dips even momentarily into the ferocious debate over “value-added” teacher evaluations understands that the evaluative process used to measure such goals is by its nature subjective and ever-shifting, its effectiveness and accuracy open to great debate. And because the study emphatically found no concrete strategies that reliably improved teacher performance, TNTP’s recommendations struck this reader as more amorphous gobbledygook. “Give teachers a clear, deep understanding of their own performance and progress,” the report suggested, and “encourage improvement with meaningful rewards and consequences,” and “reconstruct the teacher’s job.” What exactly does any of that mean—and what is a better, in-plain-English path forward? Ann Neary, who has taught English at DeWitt Clinton High School in the Bronx for 10 years, told me that the first thing that struck her about the study is the organization that conducted it. The first leader of TNTP, which used to be known as the New Teacher Project, was Michelle Rhee, then and now a divisive figure on the education-reform landscape. And one of TNTP’s main, and laudable, goals is to give “poor and minority students equal access to effective teachers.” To that end, TNTP runs a Teach for America–like summer fellowship program that trains “talented career changers and recent college graduates” to teach over the course of a summer, then lets them loose in the classroom come fall. “Ten years in and I’m still learning every day,” Neary said. “I know how hard it is, so I can’t imagine how you could be so great after coming in that way. But that is their paradigm, and they believe they do really great training.” That’s why it’s not surprising that TNTP never recommends banishing professional development altogether. They just think that current practices need a big overhaul—but are test scores the best way to judge what is and isn’t working? Most experts agree that professional development is worthwhile and necessary, but numerous other studies have shown that school districts are driving blind when it comes to implementation; no one has come up with a workable alternative to the higgledy-piggledy systems currently in place. The best we do is shrug our shoulders with a Socratic “We know that we do not know.” And, until we figure it out, we’ll continue to spend lots and lots of taxpayer cash—a recent Gates Foundation report estimated that we spend a whopping $18 billion a year on professional development—on results that are uncertain at best.